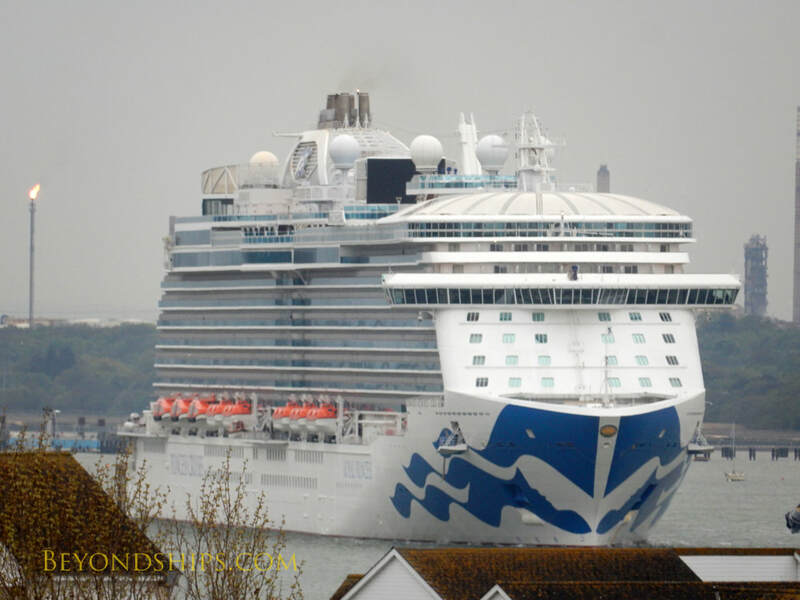 Early on a cloud-covered morning, Royal Princess is returning to the place where she was named. 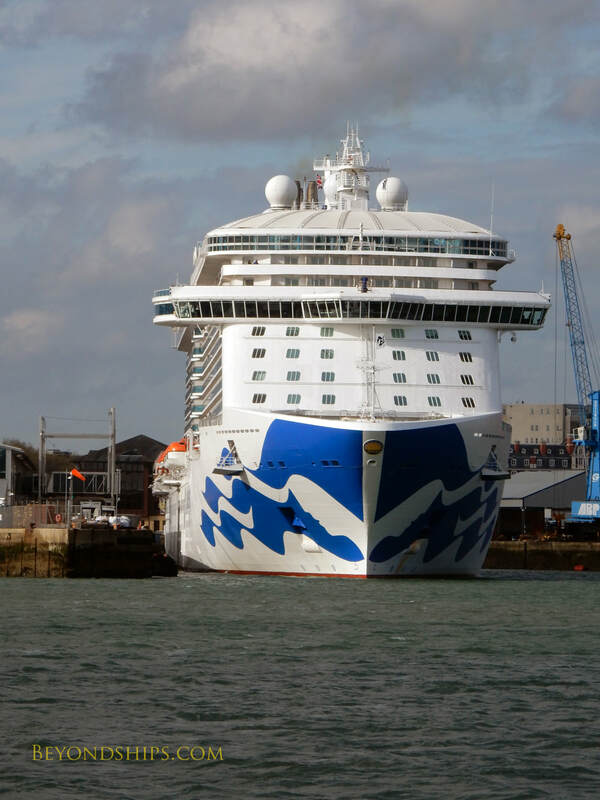 Just five years before, the Duchess of Cambridge (the former Kate Middleton) named the ship at the Ocean Terminal in Southampton. 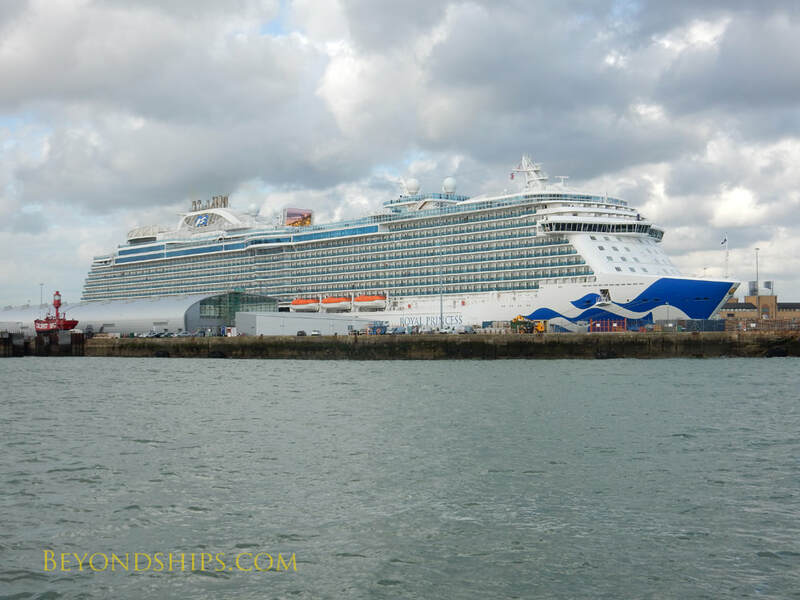 ​Royal Princess backs into her berth and as the clouds break, she ties p at the Ocean Terminal. 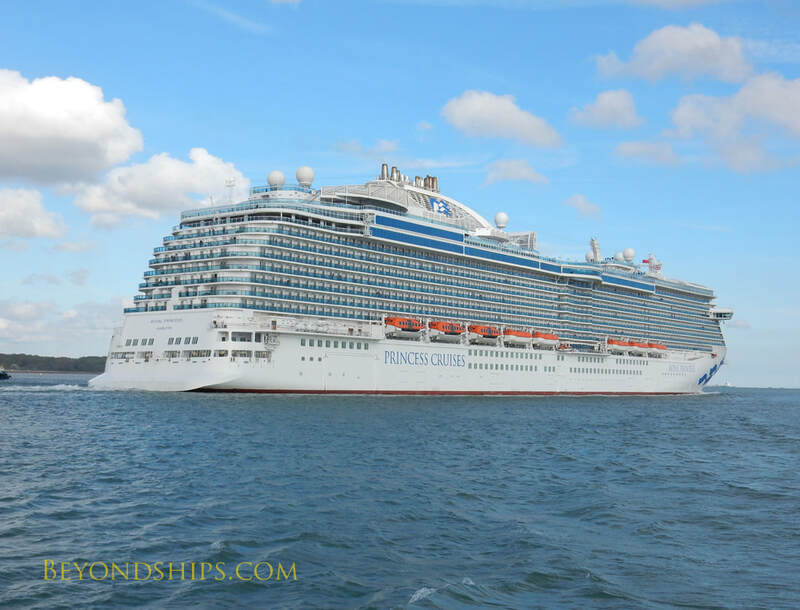 Late in the afternoon, Royal Princess gets underway (above). 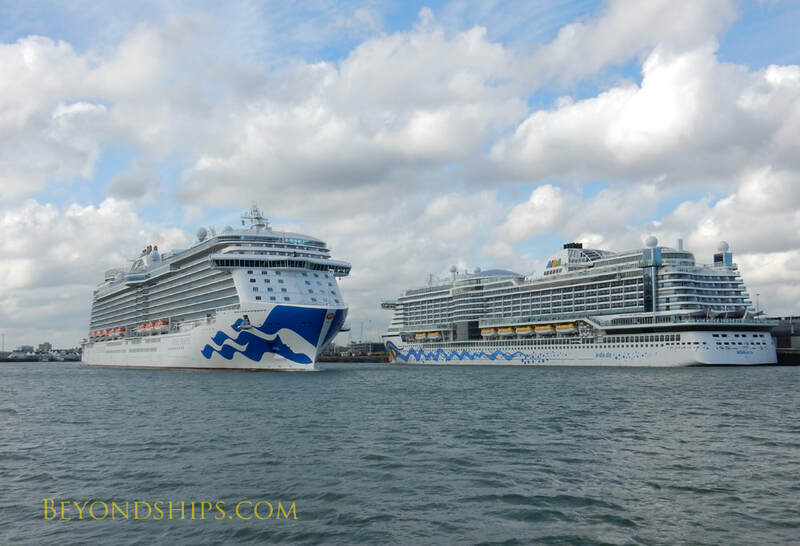 ​As she leaves the harbor, she passes AIDAperla (right). 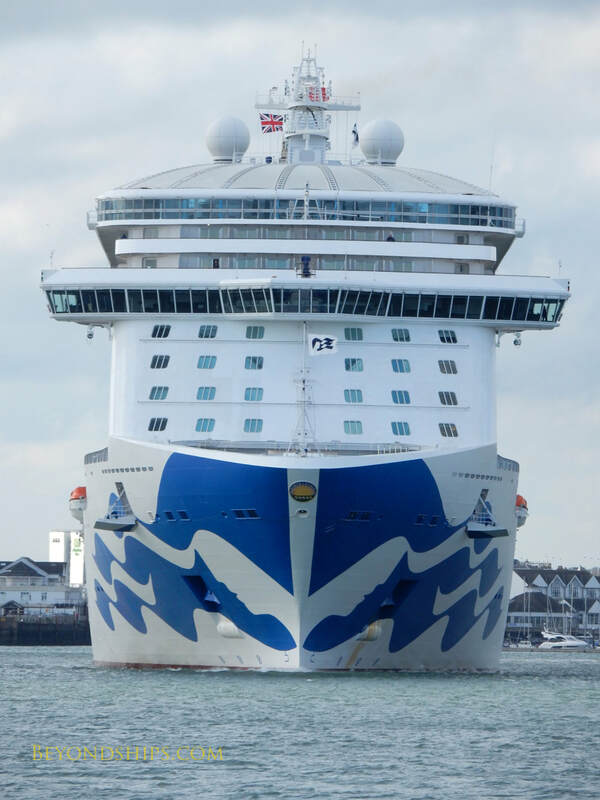 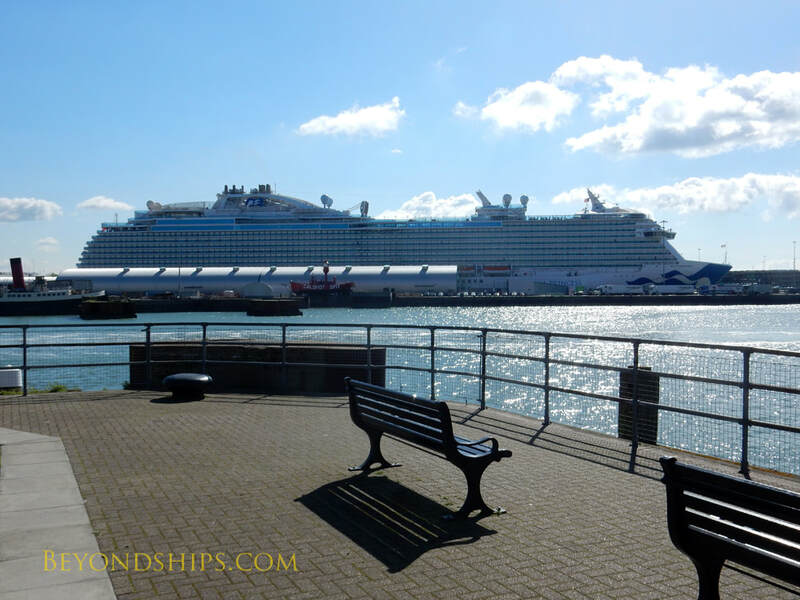 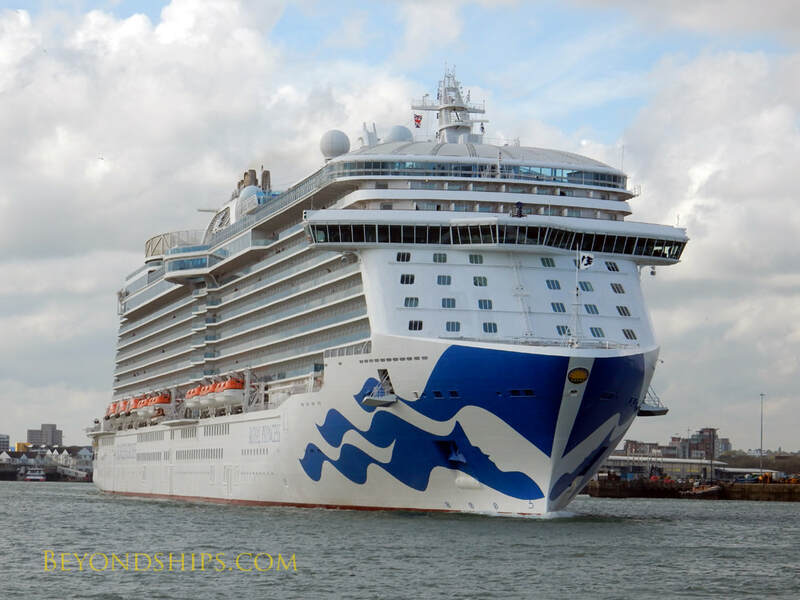 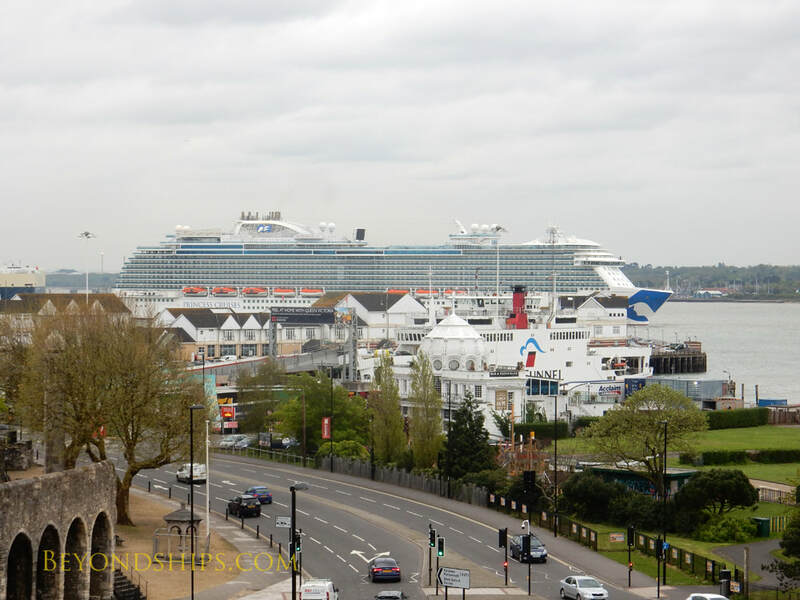 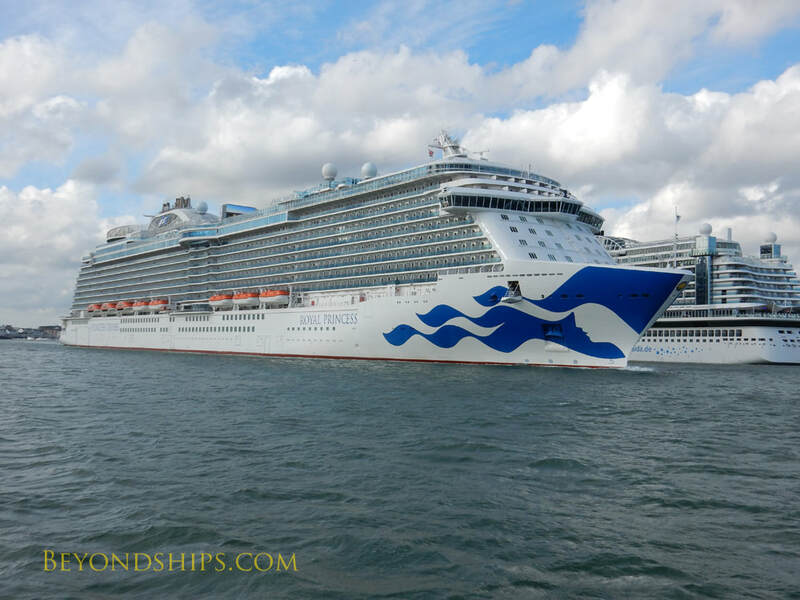 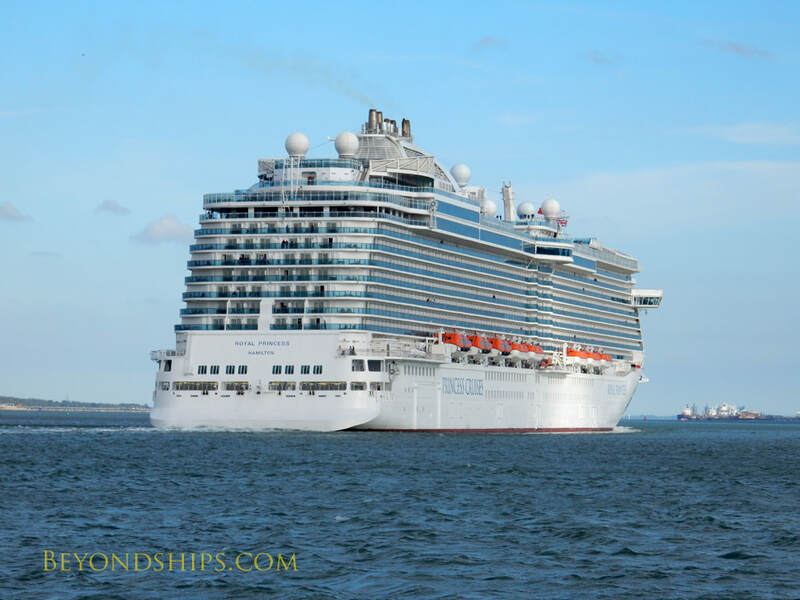 ​Leaving the commercial harbor, Royal Princess travels down Southampton Water toward the sea.